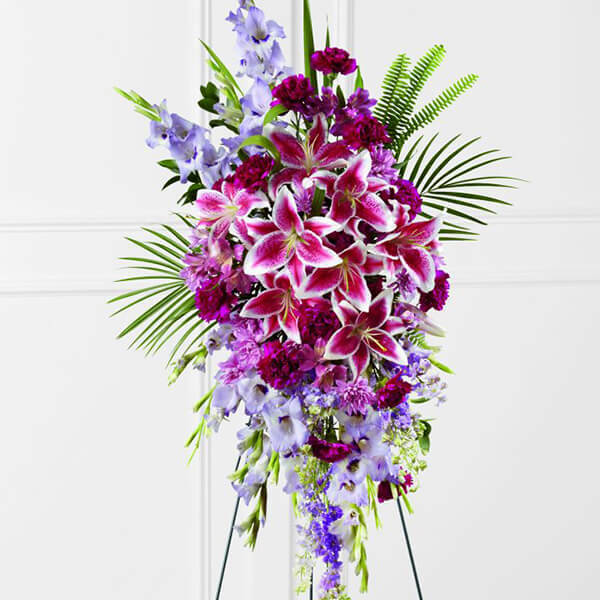 The FTD Tender Touch Standing Spray creates an elegant display of beauty and color to enhance their final tribute. 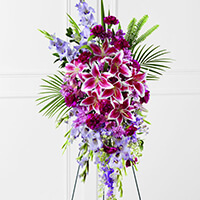 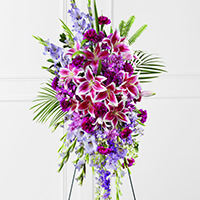 Lavender gladiolus, Stargazer lilies, fuchsia carnations, purple larkspur, lavender Peruvian lilies, lavender chrysanthemums, sword fern fronds, emerald palm fronds and other assorted greens are gorgeously arranged to create a sophisticated standing spray. 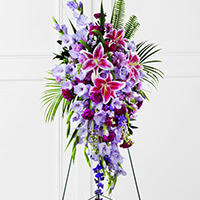 Displayed on a wire easel, this arrangement will add to the sophistication of their service with each fragrant bloom.